Over the past several years, dentists have been driven to provide more esthetic and desirable anterior full or partially covered anterior restorations to meet the desires of our patients. This is especially true for the multi-unit anterior or posterior bridge. The problem has always been to achieve both strength and esthetics. The porcelain-fused-to-metal crown certainly provides durability with some reasonable esthetics for crowns. And you would not consider anything but a PFM bridge, be it posterior or anterior. However, with the increasing esthetic demands of our patients, even the best PFM crowns and bridges appear too bulky and opaque. And no matter how well they are fabricated, it is only a matter of time before some metal starts to show, and in the anterior this is completely unacceptable. To alleviate this problem, new materials were provided and laboratory techniques developed to produce an all-ceramic single restoration that was highly esthetic. In fact, the esthetics they were using created restorations that were indistinguishable from natural teeth. Thus, the challenge now is to fabricate an esthetic but durable all-ceramic that has wear characteristics favorable to the opposing dentition, and is available for anterior or posterior multi-unit bridges. The fabrication of all-ceramic, esthetic, and durable anterior crowns and bridges is made possible through the combination of new technology and new materials. The new technology is CAD/CAM, computer aided design/computer aided manufacturing. It fabricates an all-ceramic (Zirconia) framework that is not only very thin, light, and durable, but also available in various tooth color shades that improve the life-like esthetics of the final restoration. You'll want to look at it again and again. When we talk to each other, our gaze falls often on the mouth. In this, we naturally focus particularly on the teeth and paying increasing attention to their appearance. In daily contact with people, flirting in private or presenting yourself for a new job, beautiful teeth play a big part in helping you look great. With 3D CAD-CAM designed Zirconium smart ceramics, all restorations can be shaped so naturally that they cannot be distinguished from your real teeth. With the 3D designed Zirconium smart ceramics, our new high-tech all-ceramic material, this wish can now be fulfilled. Zirconium smart ceramics offers extremely natural aesthetics paired with excellent biocompatibility. In the past, the traditional methods for making crowns and bridges involved a series of dental appointments and final fabrication of the restoration by a dental laboratory. Today CAD/CAM allows us to custom-fabricate any of these in the office and cement them in place much faster and more precise. 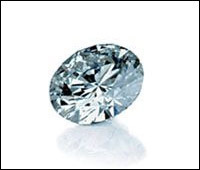 There are not many materials, such as natural diamond, which combine exceptional beauty and strength. In dentistry, there has been continuous research and development to find materials suitable for dental prosthesis that are aesthetically acceptable, of sufficient strength and which are perfectly tolerated by the human body. For many years ceramic materials combined with metals have been used in dental restorations, ceramic to achieve the desired aesthetics, metal for strength. A high-tech ceramic, Zirconium Oxide, is now available and has already been proven in many extreme situations such as heat shields in the Space Shuttle, brake disks for sports cars and the spherical heads of artificial hip joints. This high-tech ceramic has the potential to give prosthetic care a whole new image, because thanks to Cercon smart ceramics it can now be used in dentistry. With the Cercon system, all-ceramic crowns and bridges of up to four units can be made in the incisal and molar regions. In individual cases, depending on the gap of the bridged teeth, even bridges of up to six units are possible. Additional dental applications are already in the testing phase and are just awaiting test results. Until now, zirconium oxide could only be processed at great expense because of its exceptional hardness and was thus prohibitive for use as a dental prosthesis. As the result of progress of a research project carried out by the renowned Zurich Federal Institute of Technology, is it now possible to use this material economically in dental technology. A wax form or model of your “new teeth” is created in the dental laboratory, to the precise specifications provided by your dentist. 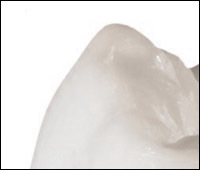 This wax form serves as the pattern from which a computer-aided milling unit creates your crown or bridge from a solid zirconium oxide blank. A ceramic veneer in your individual tooth colours is then applied to the milled zirconium oxide unit to achieve the desired characteristics and natural looking appearance. The Cercon system operates safely and flawlessly, with everything coming from one source – DeguDent. If you would like to learn more about the fascinating steps involved in creating a dental restoration from Cercon smart ceramics, please contact your dentist or his dental technical laboratory. Did you know that the skin on your back is around 15 times more sensitive than the mucous membrane (or tissues) in your mouth? For this reason allergy tests are often performed on an individual’s back. The test results with our neutral ceramic are clear and according to our current knowledge, there should not be any adverse reaction to Cercon smart ceramics even in the most sensitive of people. In the extensive literature available on zirconium oxide, no individual cases of allergic reaction have been reported to date. Possible interactions with any metals contained in existing dental prostheses will also be excluded. Your Cercon restoration will therefore promote your well being and keep you healthy. 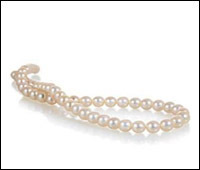 Other important properties of a Cercon restoration are very positive for the wearer. The surfaces of the veneering porcelain Cercon ceram S ensure reduced plaque adhesion and thus support good oral hygiene. What’s more, your all-ceramic restoration will have an excellent insulating effect and you won’t have to worry about any unpleasant sensations with hot or cold meals and drinks. Cercon smart ceramics may also enable more gentle treatment with less tooth preparation, thanks to the excellent hardness qualities of zirconium oxide your dentist may be able to preserve more healthy tooth substance – depending on the individual initial situation.